I’ve made films for TV, for the BFI, for Creative Scotland, for independent production companies, for arts centres, publishers, and for organisations like the British Council, but working with HiBROW is unique. It is a production company and a publisher. It gives you a space, like an art gallery does, and calls you a curator, which frees you up to absorb work from others and incorporate it into your own. It puts nothing – no theme or form – out of bounds. On the contrary, the out of bounds is exactly where HiBROW has encouraged me to be. And so I’ve gone there. 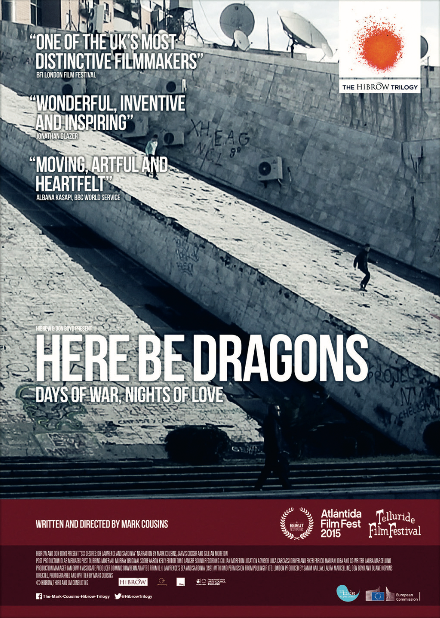 I’ve made three feature-length essay films for them, and filmmaker Don Boyd, the organisation’s founder and Cosimo de Medici: Here be Dragons, set in Albania, Life May Be, which I co-directed with Iranian artist and filmmaker Mania Akbari, and 6 Desires: DH Lawrence and Sardinia. The art-without-walls approach of HiBROW has meant that these films are without walls. They are all essay films, the most free form movie genre, in that it can incorporate dream sequences, letters, observational filmmaking, road movie sequences, arguments, collages. All three films are about culture – film in Tirana, bodies and architecture in Iran, the literary travel writing of DH Lawrence – but, because of the open atmosphere at HIBROW (maybe it is a bit like the Factory, which makes Don Boyd Andy Warhol), their forms aren’t traditional. 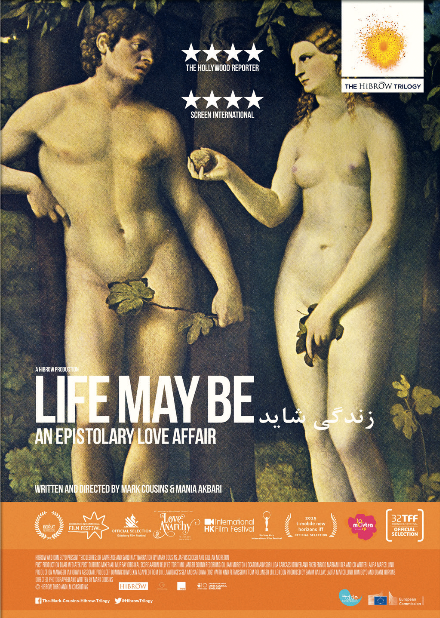 Life May Be is a series of cine-letters; The Lawrence film has Mussolini, Helene Cixous and Paul Cezanne in it. What strikes me, looking at this trilogy, is that making them has improved my filmmaking. Having no-one say no, having no-one tell you that it can’t be, or shouldn’t be, done, or that it simply isn’t done that way, means that I’ve stretched myself, as best I can, to think of new ways of addressing the subjects in the films – memory, architecture, bodies, politics. How many times in my life will I be encouraged to work so freely? How often have filmmakers or artists been able, in the past, to enjoy such liberty? Orson Welles in RKO? Le Corbusier in Chandigarh? Cezanne at Les Lauves? George Elliot? Yasujiro Ozu at Shochiku. Of course I am not comparing my work to these great artists, but I am realising, as I type their names, that the safe harbour from which to sail is a rare thing. Technological change and the digitisation of the film process has meant that the medium has democitised and, also, therefore, in some senses, been let off the leash. It has always wanted to remain untamed – ask Werner Herzog. It has always been an explorer artform. My HiBROW trilogy has allowed me to explore. 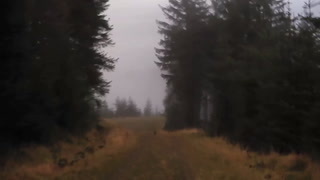 I’ve been able to saunter, a word whose derivation is “saint terre” – sacred ground. The chances to wander are, indeed, rare, sacred. 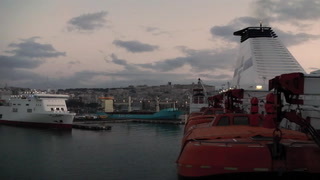 Filmmaker Mark Cousins goes to Albania for ve days, and lms what he sees. An epistolary feature lm: a cinematic discourse between a British director, (Mark Cousins, the celebrated lm maker and historian) and an Iranian actress and director (Mania Akbari, famed for her work with Abbas Kiarostami and in her own right as a director) which extends the concept of “essay lm” with startling confrontations in the arenas of cultural issues, gender politics and differing artistic sensibilities. A unique journey into the minds of two exceptional lmmakers which becomes a love affair on lm. In 1921, DH Lawrence travelled to Sardinia to search for sun and a simpler way of living. His writing about the trip is amongst the most vivid in literature. Lawrence wanted to escape the 20th Century, but he couldn’t. Mussolini was coming and so was sickness. Mark Cousins’ innovative new lm retraces Lawrence’s journey, and gets to the heart of its beauty and passion. Mark Cousins is a documentary filmmaker, author and curator living and working in Scotland. The subjects of his films have included Mikhael Gorbachev, neo-Nazism, Ian Hamilton Finlay, the cinema of Iran and children in Iraq. In the early 90s, he became director of the Edinburgh International Film Festival, scrapped all the existing programme strands, rethought the festival, and took it to Sarajevo in defiance of the siege. At the same time he co-founded the charity Scottish Kids are Making Movies, focussing on children and creativity, which has become a central theme in his work. Next, Cousins was the TV host of BBC2’s Moviedrome. He co-edited Imagining Reality: The Faber Book of Documentary (which the Times Literary Supplement called “indispensable”), and directed and presented BBC2’s Scene by Scene, which ran for five years, screening career interviews with, amongst others, Martin Scorsese, Jane Russell, Paul Schrader, Bernardo Bertolucci, David Lynch, Roman Polanski, Jeanne Moreau, Steven Spielberg, Woody Allen, Lauren Bacall and Rod Steiger. The London Times called it “a revelation”. Kirk Douglas said that, of the thousands of interviews he’d done, his Scene by Scene was the best. Together with Antonia Bird, Robert Carlyle and Irvine Welsh, Cousins is a director of the production company 4Way Pictures. In 2001 he drove to India. In 2004 he helped establish Sylvain Chomet’s Studio Django in Edinburgh. Between 2001 and 2011, he wrote for Prospect. His 2004 book The Story of Film, was published in Europe, America, China, Mexico, Brazil and Taiwan. The London Times said of it “by some distance the best book we have read on cinema.” Oscar winning filmmaker Bernardo Bertolucci praised it and Sir Sean Connery wrote that it is “fascinating”. Cousins adapted the book into a 930 minute film, The Story of Film: An Odyssey, which has sold around the world (and been called “a masterpiece”, “revelatory” and “the cinematic event of the year”) The New York Times called it “the place from which all future revisionism should begin.” It played in the Berlin, Telluride, Toronto, Palm Springs, Hong Kong, and many other festivals, and at art centres such as the Walker in Minneapoli, Bam in Brooklyn, the Ullens Centre for Contemporary Art in Beijing, Bozar in Brussels, and the Museum of Modern Art in New York. Michael Moore gave it the Stanley Kubrick Award at his Traverse City Film Festival, and it has won other prizes including the Premier Award from the British Universities Film and Video Council. Cousins has been guest curator at film festivals around the world, is Honorary Professor of Film at the University of Glasgow, Honorary Doctor of Letters at the University of Edinburgh and Honorary Lecturer at the University of Stirling. He was Co-Artistic Director of Cinema China and The Ballerina Ballroom Cinema of Dreams, part of his ongoing collaboration with Oscar winning actress Tilda Swinton. They devised a cinema in Beijing and did A Pilgrimage (www.a-pilgrimage.org), which gained worldwide attention. Cousins was awarded the Salzgeber prize at the 2009 Berlin Film Festival, has been nominated for the Spirit of Scotland Award three times, and wrote, directed and filmed the feature documentary The First Movie, about kids’ imaginations. 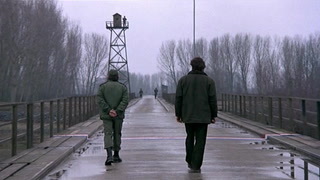 It won the Prix Italia, played in film, academic and social action contexts, and is still playing in American cities. 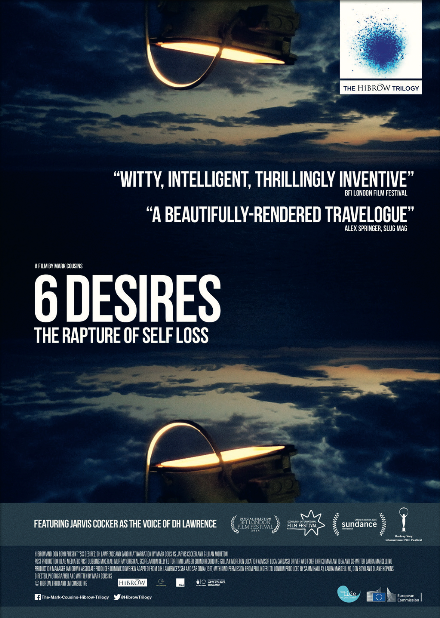 Acclaimed filmmaker Wim Wenders wrote that he “loved it” and it has won several audience awards at film festivals. Cousins and Swinton launched the 8 ½ Foundation, which creates a new movie birthday for children. It was nominated for the Human Rights Award. He published his fourth book, Watching Real People Elsewhere in the UK, America, and China, is writing a travel and cinema book called Rupture and is writing and directing a feature documentary called I am Belfast. In 2012 he was nominated for the London Awards for Art and Performance 2012 and the Screen International award. He was guest curator at the Eye Cinematheque in Amsterdam. His film What is this Film called Love? has played in 20 countries and was nominated for Best Director by Bafta Scotland. PJ Harvey called it “revelatory and inspiring”. It played in the prestigious Institute for Contemporary Arts in London. In 2012, his work showed in Karlovy Vary, Montenegro, Bratislava, Moscow, Rio, Dubai, Bosnia, San Francisco, Sweden, Seattle, Chicago, Berwick, Inverness, Edinburgh, CPX Dox, and Hong Kong. In early 2013 he completed Here be Dragons, a film essay about Albania, and has made a new film, A Story of Children and Film, which was in the Official Selection of the 2013 Cannes Film Festival (where it received 5 star reviews), in the Edinburgh International Film Festival and Karlovy Vary. He is now a columnist for the film magazines Sight and Sound and Filmkrant. He once recorded the voice for a drum and bass dance track about the film La Maman et la putain, likes to dance and drive his campervan!